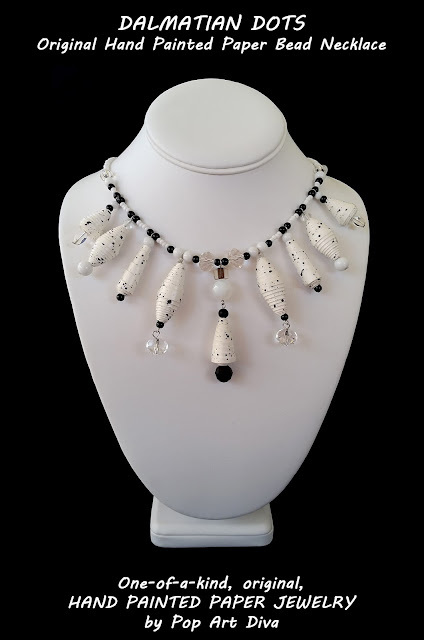 "DALMATIAN DOTS" is a contemporary choker style PAPER BEAD NECKLACE that features 9 of my hand painted, watercolor paper beads. 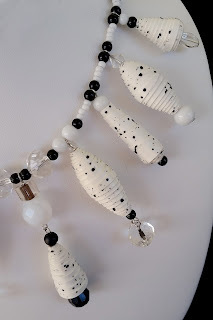 White paper beads are speckled with black dots and complemented with black, white and clear glass beads then dangled off a choker of faceted clear beads, black and white glass beads and white seed beads. 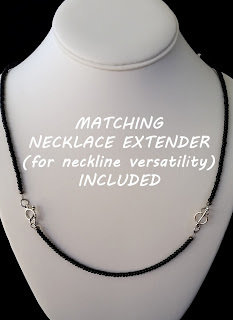 FOR NECKLINE VERSATILITY A COMPLIMENTARY 11" NECKLACE EXTENDER IS INCLUDED. Necklace length including clasp is 18-1/4" without the extender. With the 11" extender it's 29-1/4". Primary colors are White & Black. 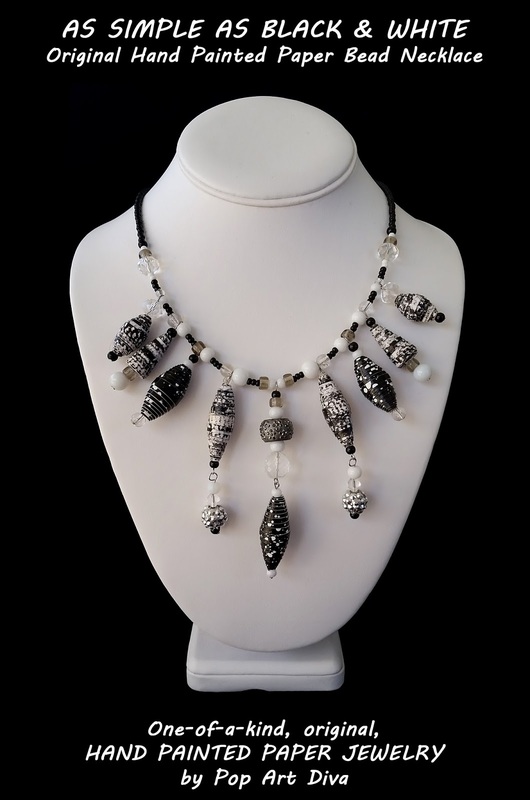 "AS SIMPLE AS BLACK & WHITE" is a contemporary choker style PAPER BEAD NECKLACE that features 9 of my hand painted, watercolor paper beads. A mix of black paper beads speckled with white dots and variegated black and white paper beads are complemented with black, white and clear glass beads then dangled off a choker of faceted clear beads, black and white glass beads and black seed beads. 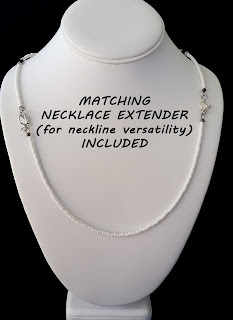 FOR NECKLINE VERSATILITY A COMPLIMENTARY 6" NECKLACE EXTENDER IS INCLUDED. 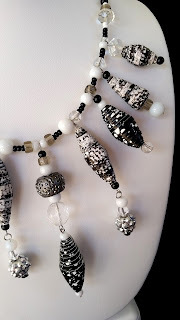 Necklace length including clasp is 19-1/2" without the extender. With the 6" extender it's 25-1/2". Primary colors are black and white.